On top of translation, we are also experienced in certifying translations rendered by our own and third parties for immigration and other purposes. We are one of the few dual-direction English/Chinese translators in Hong Kong endorsed by the National Accreditation Authority for Translators and Interpreters (NAATI) (http://www.naati.com.au/an-index.html), Australia. 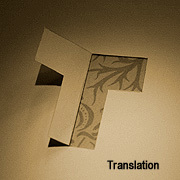 All certified translations will bear an official chop of the NAATI and personally signed by the accredited translator. Want to know more about the documents we specialize in? Just click on any of the following categories for details: business translation; financial translation; legal translation; governmental translation. Come and join our winning list of “Clients” today by calling Elly at (852) 2531 3168, or sending us an email at marketing@yaoshun.com.hk.